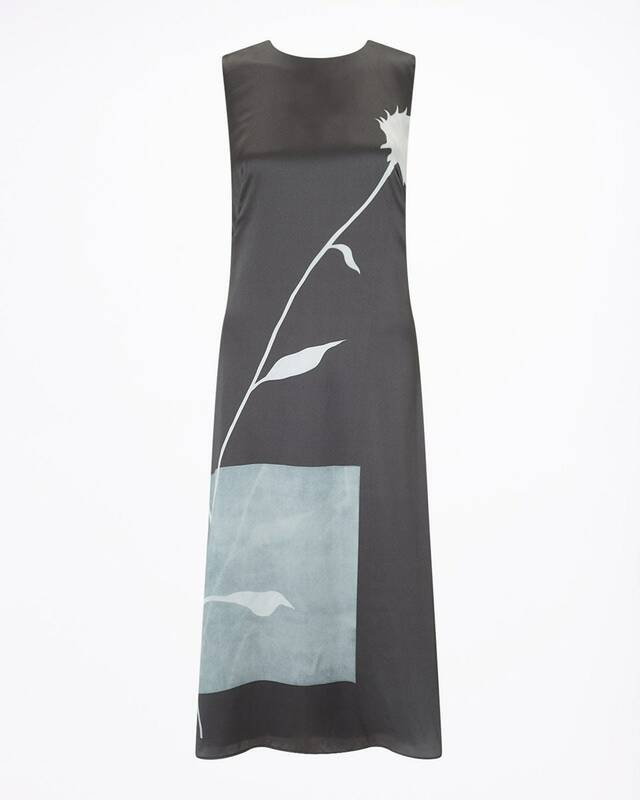 For sale is this stunning Jigsaw pure silk fully lined flared dress brand new with tags RRP $449. Midnight green. 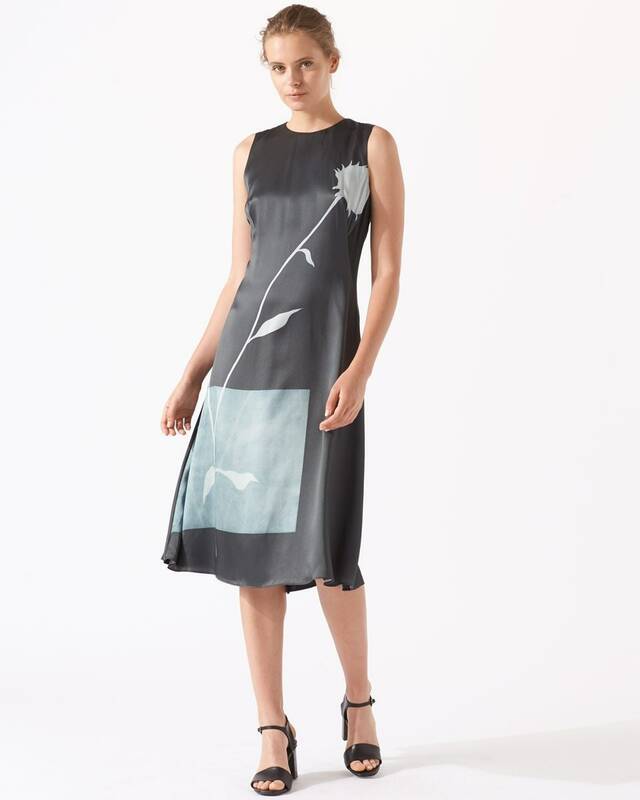 A special occasion must have is the Thistle Salena Dress from Jigsaw. Crafted from pure silk and designed to fall to knee length with a semi-flared finish. 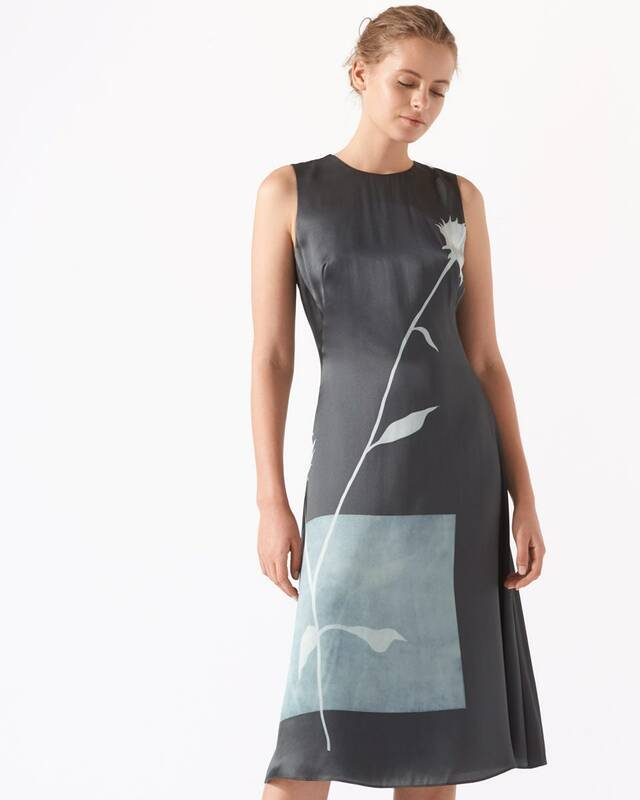 This elegant piece features a round neckline with V-back, is sleeveless and has a contemporary thistle print on the front. Further details include a rose gold toned snap and brand zip puller for fastening. Wear with peep-toe slingback heels for the perfect wedding guest ensemble. True to size. Centre back length for a size 12 measures 104cm. Timeless and reliable, dresses are a mainstay of any well-rounded women’s wardrobe. We’ve trimmed away the fuss with four unique and bespoke styles, each with their own personality, versatility and inspiration. The ultimate dresses. The answers to your styling questions. Salena The polished, grown up take on a midi flare. Sleeveless with stylish v-back. Modern elegance when no other dress will do. I have gift bags and gift boxes available also so please let me know if you want items posted as a gift. There is a small extra charge.